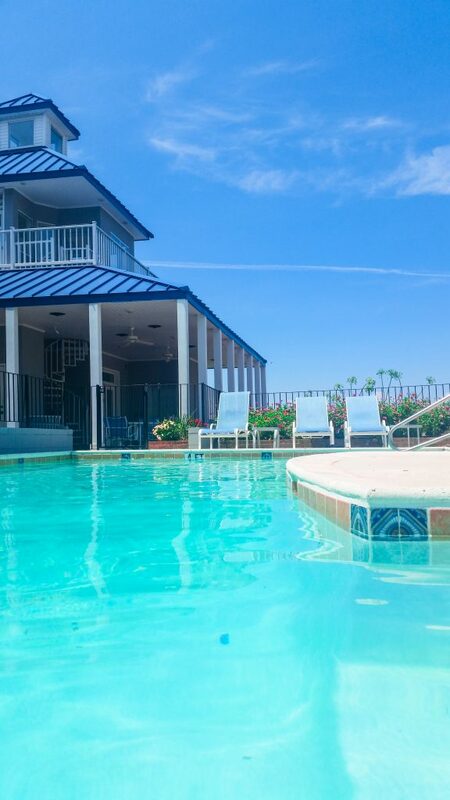 I just got back from a weekend staycation by the pool in my own backyard! You guys, stay at home vacations are my new best friend! With the heat turning up outside, it’s nice to think about a vacation close to home. 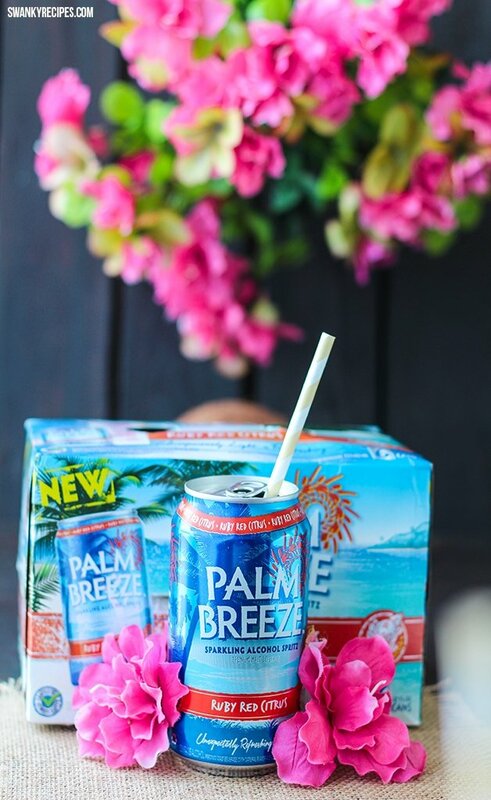 For me, I threw a Palm Breeze cocktail party in your own backyard. 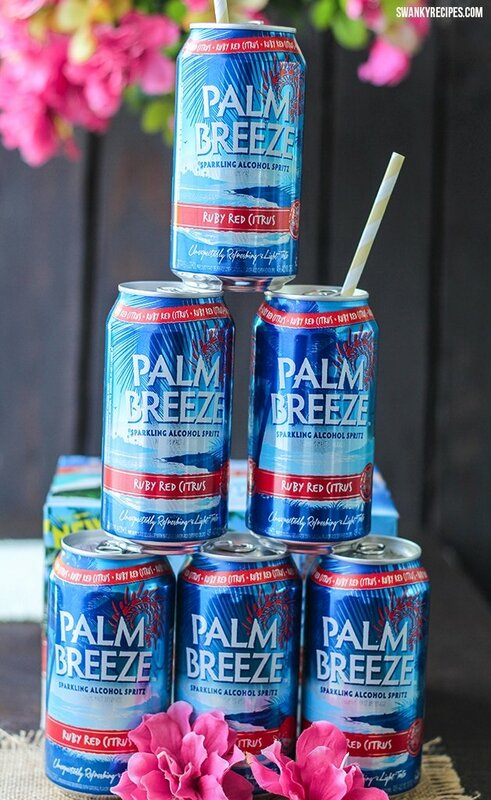 My weekend oasis highlights include having friends over for a low-key get together with drinks and fun finger food snacks. 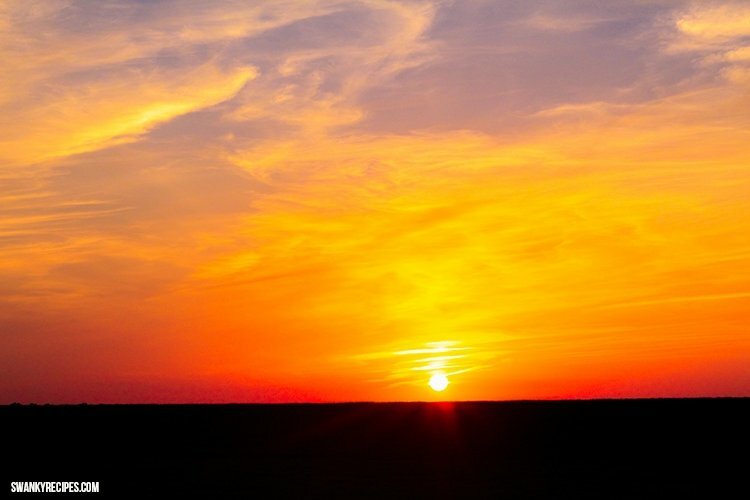 We also flew kites and enjoyed an amazing sunset. Life is good. Vacation doesn’t need to be to some far away place. I transformed my home into an island retreat and had a relaxing stay-cation. All I needed to do was put on a swimsuit, slip my feet into sandals, apply sunblock and have a cold drink in hand with friends. If you crave outdoor relaxation like me, head outside and slip into comfort! The concept of a vacation at home is nothing new. Being able to relax in the comfort of your own home is one of life’s greatest pleasures. Embracing the “vacation every day” spirit is really a beautiful thing and that’s exactly what I’m doing! My “staycation” started on a Friday. I invited a few friends who had off for the weekend and asked them to join me for a picnic outside while flying kites on Saturday. We really didn’t go anywhere, we didn’t need to. The day was beautiful and was perfect kite flying weather. We had super fun girly chat while walking up and down the backyard flying kites. 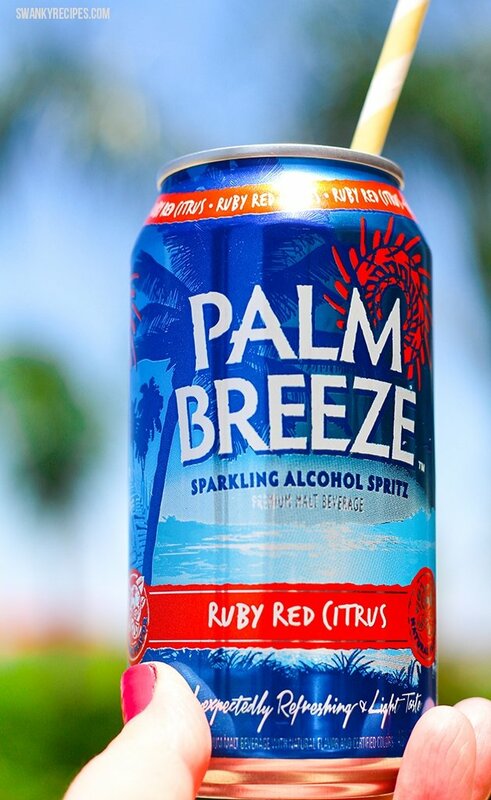 Sunny days like this call for Palm Breeze Ruby Red Citrus sparkling spritz to quench our thirst. What I love about this drink is that it actually tastes amazing! 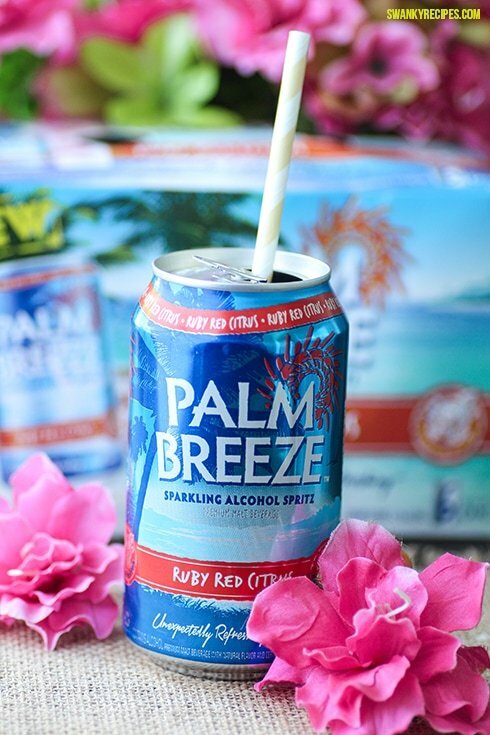 The Ruby Red flavor has hints of grapefruit and is carbonated, creating the perfect fruity sparkling spritz. Super sparkly fun, staycation stuff! The sweetness tastes natural and is not bitter or overly sweet. 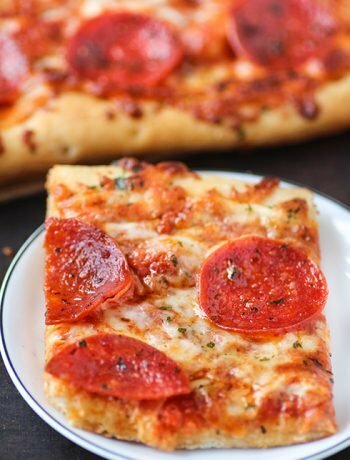 It’s enough to leave your mouth feeling crisp and satisfied. 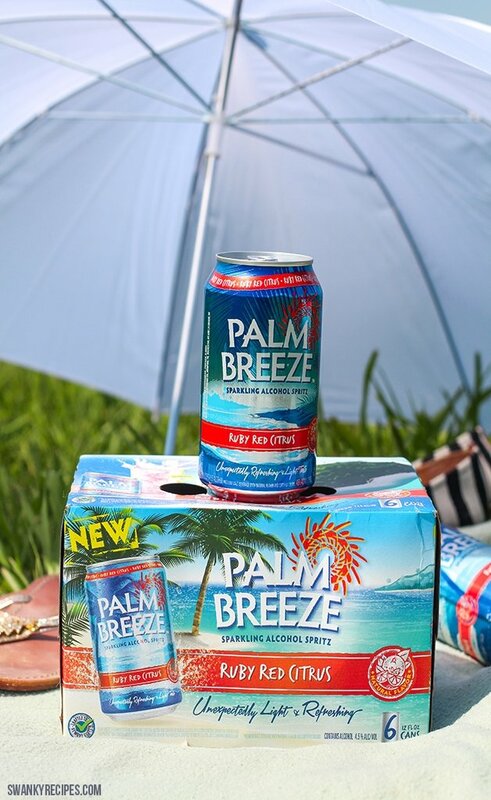 Palm Breeze also offers a Pineapple Mandarin Orange spritz that tastes just as good! It’s enjoying life’s little pleasures like these that make me feel especially lucky! Aloha happiness! 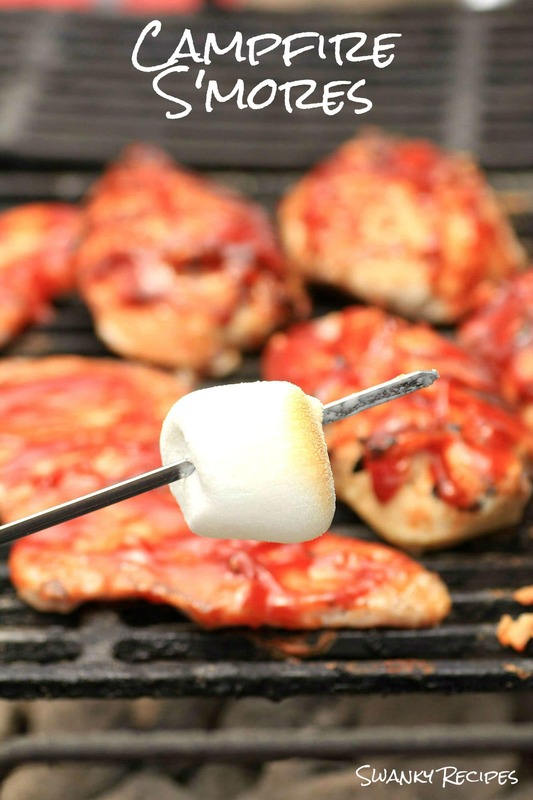 We continued our staycation on Sunday with a backyard barbecue, fun finger foods and Palm Breeze drinks by the pool. The pool lounge was transformed into our own backyard island escape. Our own tropical retreat was happening right in front of us, in my backyard! We had no need to travel anywhere. Who knew a summery backyard oasis could be so much fun?! Pool party you say? That’s my kind of vacation! 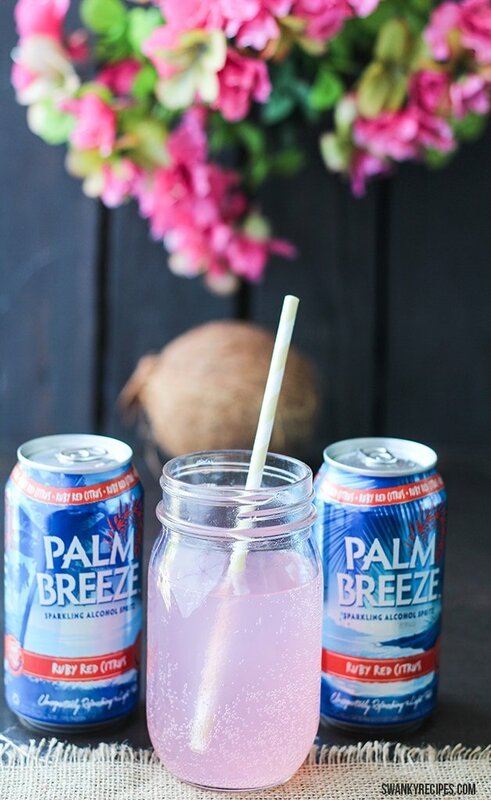 I fired up the grill and opened a few cold Palm Breeze Ruby Red Citrus drinks for my friends. 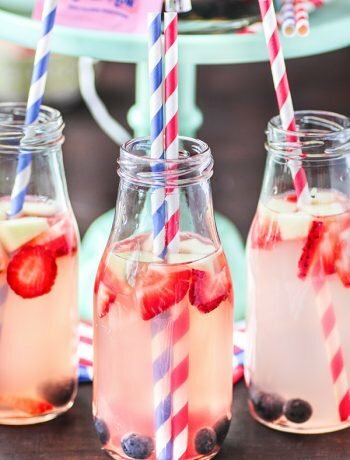 We poured them into cute little mason jars fit with yellow straws. Our towels blanketed the ground next to the pool while we enjoyed some food. 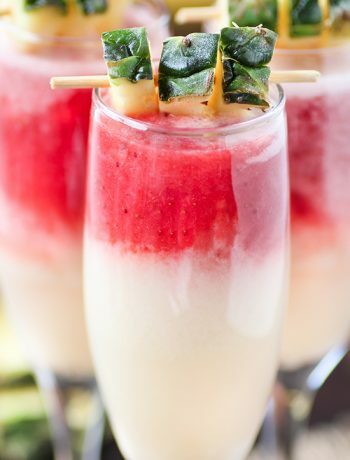 These little drinks are so much sparkly fun! It wouldn’t be a staycation without taking advantage of the pool with the hot sun beat down on our backs. We had an incredible view of the nearby palm trees surrounded by lush tropical gardens in my backyard. I imagined my toes being in the sand with a cool drink in my hand as my favorite song played on the radio in the background. It’s incredible, I felt like I slipped away to an island retreat. There is something to be said about this kind of beautiful awesomeness in life! Did I mention we had this incredible view? As our Sunday came to an end, we felt relaxed. The fact that this kind of awesomeness exists in real life, every day life, kind of blows my mind. It should be cherished. With friends and family you love. This kind of beauty exists in our life. Often, we don’t need to go far from home to find it. For me, it was in the comfort of my own home. 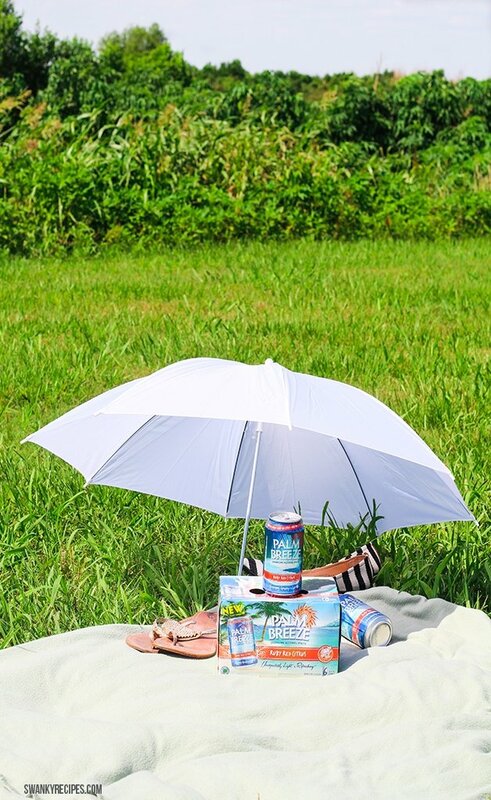 Just when you thought it couldn’t get any better, Mike’s Hard Lemonade brings Palm Breeze Sparkling Alcohol Spritz to join in on a staycation escape.